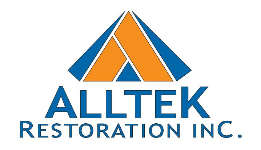 Repair | Alltek Restoration, Inc.
We have knowledge and experience in both residential and commercial renovations as well as remodeling; our expertise in reconstruction and restoration strengthens our ability to surpass expectations and excel beyond industry standards in both renovations and remodel construction services for existing structures. This allows us to serve you with quality installations and excellent performance on all projects. Our experience and leadership will make sure your project flows smoothly from first submittal to final inspection. We are always happy to be a part of your project whatever type it may be. We are both full service general and electrical contractors providing all construction services offering you a single project solution from design to turnkey completion. When it comes to home additions or remodeling you want to make sure your contractor has a solid reputation and portfolio. With us, you can rest assured that our team can create the right look and plan. From complete historic renovations to single room additions, our team plans out every step and makes certain all the work meets our strict standards.